the street, creating a sense of presence. 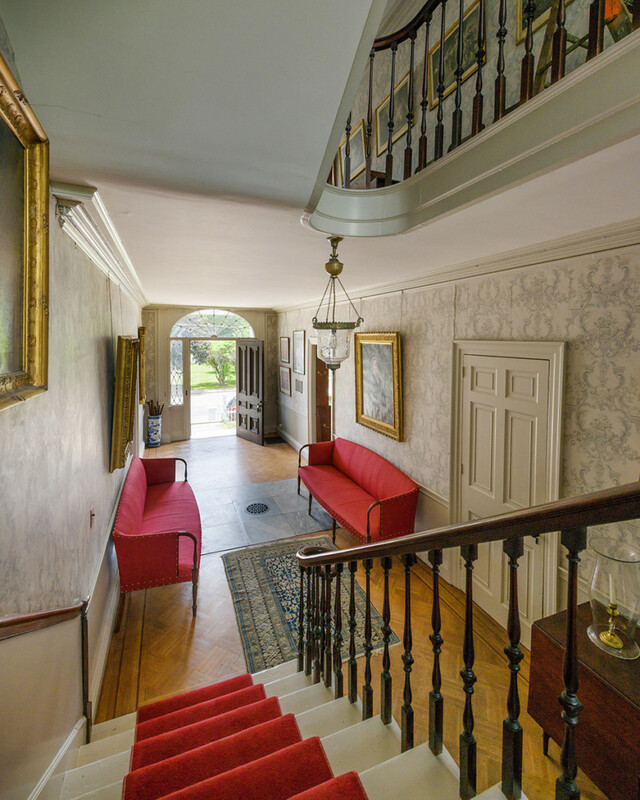 In a city filled with grand historic homes, Portsmouth’s Rundlet-May House may be among the finest. Set on a large, tree-filled lot just beyond downtown Portsmouth, the imposing three-story Federal-style home is designed to impress. Built by textile merchant James Rundlet in 1806 and 1807, the Rundlet-May House was home to five generations of the Rundlet and May families. Many of its original furnishings still exist—as does its carriage house and stables as well as a formal garden and orchard behind the home. 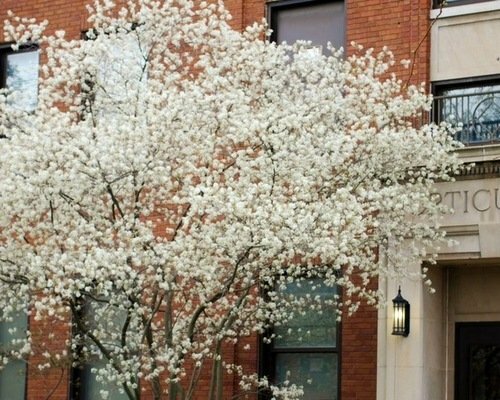 Thanks to Rundlet’s detailed financial records about building and furnishing the home, it’s one of the best-documented structures in Portsmouth. Painstaking details—from a list of plants originally purchased for the garden to how much rum was consumed by workmen during construction—are all in the home’s permanent records. 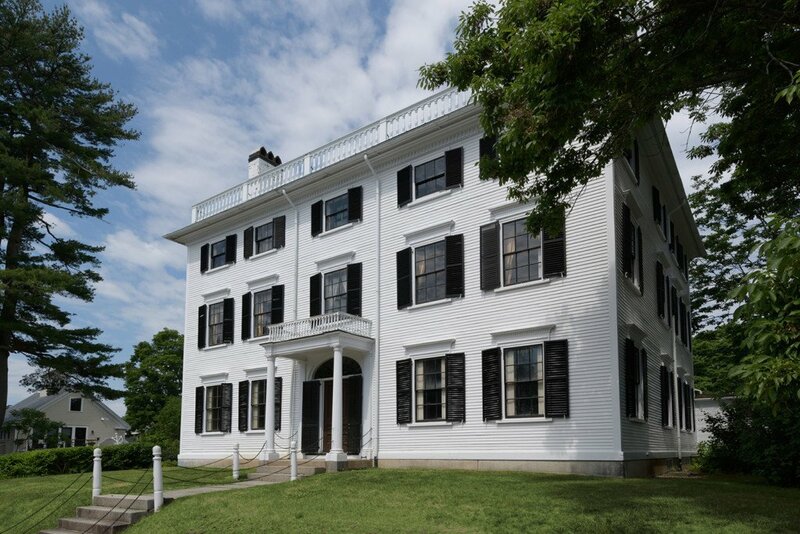 In 1971, Ralph May, James Rundlet’s great-great-grandson, deeded the Rundlet-May House and its furnishings to the Society for the Preservation of New England Antiquities (now Historic New England), America’s largest and oldest regional heritage organization. The home’s grand front entrance intends to leave an impression. A central heat register in the floor—a technical marvel in the nineteenth century—warmed family members and visitors on cold days. Rundlet grew up on a farm in Exeter but made his fortune in Portsmouth, a booming port in the late-eighteenth century. A textile merchant, he was a savvy businessman; during the War of 1812, while the United States was mired in an economic depression, Rundlet thrived because he procured the wool used to make soldiers’ uniforms. His businesses and investments included a retail store in downtown Portsmouth and Dover’s Salmon Falls Mills. Rundlet chose the location for his Portsmouth home carefully, near enough to his business interests but just outside downtown (he owned a working farm on Sagamore Creek, south of the city). “This was a part of Portsmouth where fashionable families established their estates,” Smith says. 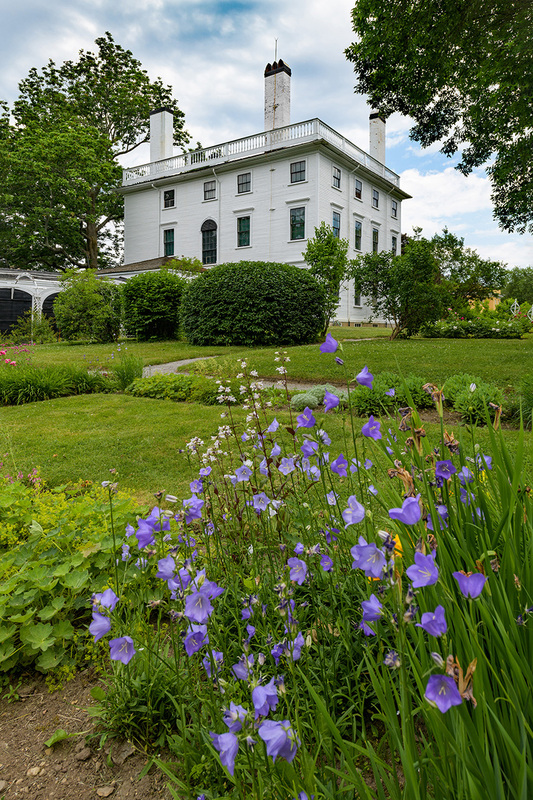 The home was built to be seen, perched on a man-made hill seven feet above street level, with a large garden and orchard as well as connected outbuildings, including a carriage barn, stables and privies. As grand as any eighteenth-century mansion found in Salem or Boston, Massachusetts, the house is topped by a low-pitch hip roof, surrounded by a wooden balustrade. The home is a prime example of Federal-style architecture, popular here from 1780 to 1820. With its simple, clean lines and symmetrical layout, the home “has a wonderful sense of presence,” Smith says. 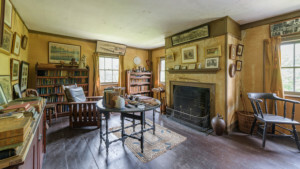 www.historicnewengland.orgThe Rundlet-May House is open the first and third Saturday of the month from 11 a.m. to 4 p.m. June 1 through October 15. Tours are on the hour. A copy of the Rundlet-May’s design plans hangs in its front hall on the first floor. 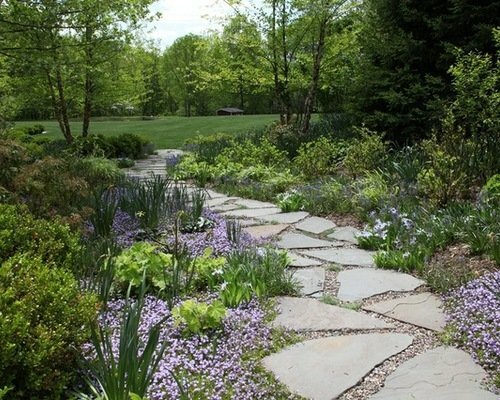 Researchers believe Rundlet designed the gardens himself and had a lot of input on the home’s design. “Rundlet was personally interested in building and architecture and had a number of books on the subjects in his library,” Smith says. 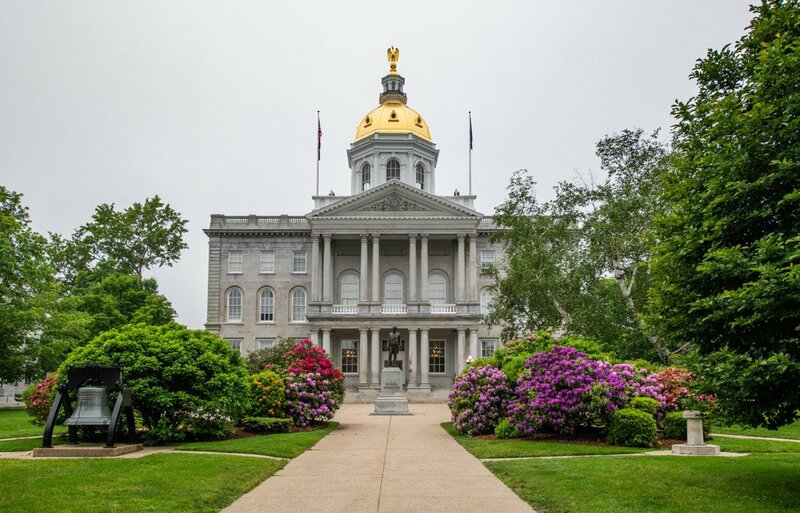 According to documents in Historic New England’s archives, the house cost $12,604.47 to build; $104.38 was spent on plantings, such as pear and peach trees, grapevines, rose bushes and more. The Rundlet-May House is a showcase for innovation as well as James Rundlet’s business success and refined tastes. A central heat register in the front hall—installed in the mid-nineteenth century—warmed visitors on a cold, snowy day. The kitchen boasts both a Rumford roaster and a Rumford range, both novel cooking inventions during the nineteenth century. An elaborate venting system serviced a smoke room on the third floor, and there’s an early coal-fired central-heating system and an indoor well. “The house was really ahead of its time,” Smith says. Most important, though, the Rundlet-May House was a home: to Rundlet, his wife, Jane, and their thirteen children and subsequent generations of the family. 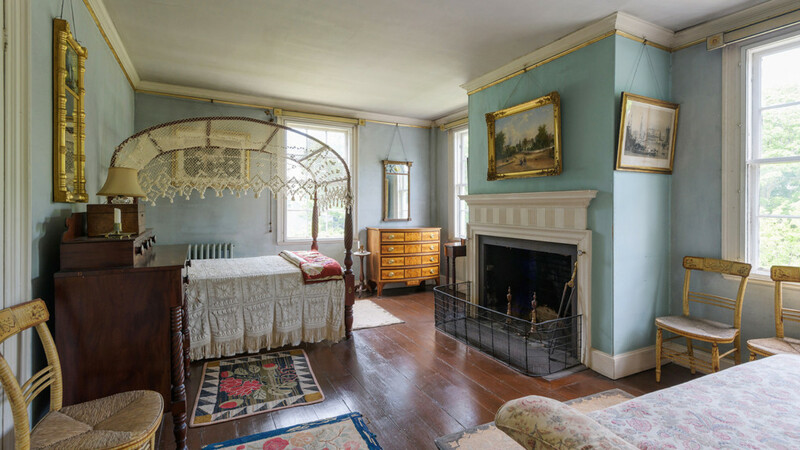 Gladys May’s bedroom features nineteenth-century, Empire-style furniture, such as this canopy bed as well as a birch and maple chest of drawers along the back wall. The hand-hooked rug may have been made by a family member. 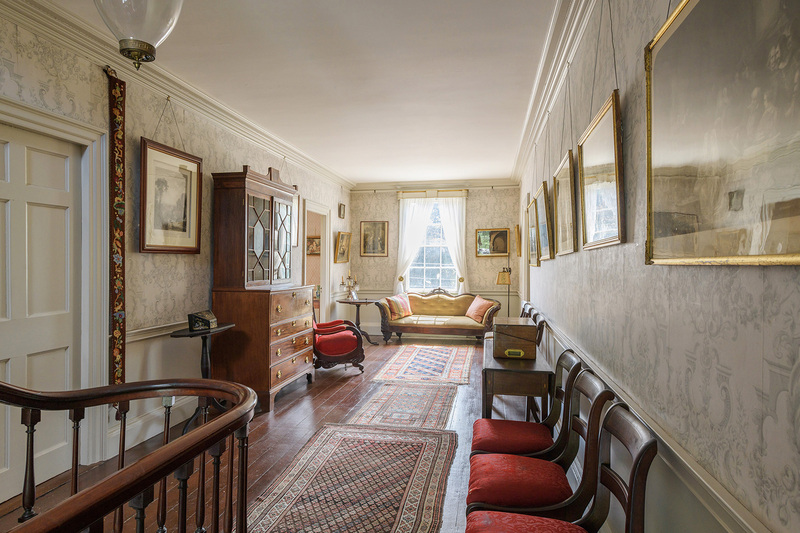 The first-floor spaces highlight the family’s grand circumstances as well as the entertaining style of the nineteenth century. The front parlor and sitting room “speak of the fashions of the time,” Smith says. 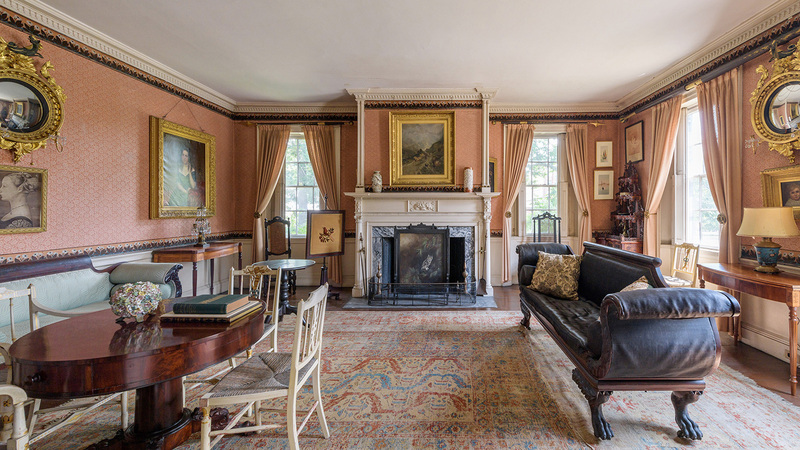 Furnishings include a large selection of Portsmouth-made furniture (the city was renowned for manufacturing high-end furniture in the eighteenth century), including fine examples by accomplished craftsman Langley Boardman, a cabinetmaker who was also a neighbor of the Rundlets. Family portraits and engravings of American presidents, another nod to the home’s Federal style, hang in the public spaces, as well as pieces that represent Rundlet’s life in trade and business, including vases from Japan and Germany, a heavily carved Asian export étagère, and two elaborately carved and gilded girandole mirrors. A black and white silhouette, the only existing depiction of James and Jane Rundlet, hangs in the sitting room. James and Jane Rundlet’s daughter, Louisa Catherine, had twins; one was James Rundlet May, a physician who lived in the home during the latter part of the nineteenth and early twentieth centuries. The home’s second-floor rooms provide glimpses into his life as well as that of his son, Ralph May and Ralph’s wife, Gladys. Framed engravings of animals as well as a photo in a front bedroom of James Rundlet May with his beloved dog, Flora, reflect the physician’s passion for animals. An assistant surgeon in the Navy during the Civil War, May brought Flora to New England after discovering her as a stray in the South during the war (Portsmouth neighbors nicknamed Flora “the Confederate dog”). May later helped establish New Hampshire’s Society for the Prevention of Cruelty to Animals, also serving as its director and president. Flora is among the family pets buried in a small pet cemetery in the back yard; among the nine headstones is one for a canary named Sonny Boy, the only pet interred who wasn’t a dog. The Rundlet-May House’s formal garden and orchard are part of its original design. 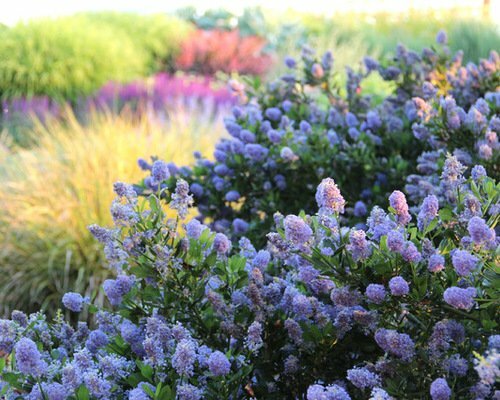 Crisscrossed by walking paths, the terraced garden features a rose arbor and a variety of flowering plants, including peonies, love-lies-bleeding, Siberian iris and these bellflowers in bloom in the summer garden. The outdoor space was nurtured by generations of the Rundlet and May families. 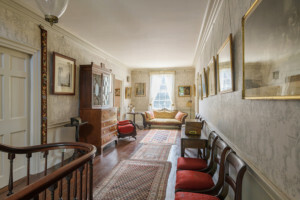 Ralph May’s third-floor study is an early “man cave,” Smith says, and is filled with memories of May’s years (class of 1904) at Harvard College. Sepia-hued photos show May in Hasty Pudding theatricals, rowing crew and grouped with classmates. One, a 1934 reunion of the class of 1904, was taken at the White House when Franklin D. Roosevelt, another Harvard alum, was president. A center table and rows of bookcases showcase some of May’s favorite collections and sports trophies. May—a banker who lived in Cambridge, Massachusetts, and summered in the Rundlet-May House—authored several books about Portsmouth history and was a state vice president of the Society for the Preservation of New England Antiquities when he gave the Rundlet-May House in its entirety to the historic preservation organization. Behind the home, visitors can enjoy the Rundlet-May House gardens, an oasis that extends a full city block. Reflecting its original design as both a working garden and orchard that would have supplied a nineteenth-century household, the area is accessed via a series of gravel paths alongside and behind the home. 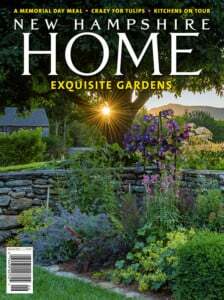 The gardens are among those featured in Everything for the Garden, a new book by Historic New England, available this September, highlighting gardens at some of the organization’s properties in New Hampshire, Massachusetts and Maine.